For the ultimate family tour, Australia has it all; golden beaches and surfing waves, climbing the Sydney Harbour Bridge, zip lining through ancient rainforests, close up encounters with koalas, kayaking with dolphins or camping under a blanket of stars in the outback, riding camels on a beach, or 'finding nemo' whilst snorkelling around islands on the Great barrier Reef. The delightful temperate weather means that Australia is just as accessible during the winter hemisphere Summer school holidays giving more time to explore and enjoy with the Christmas/New Year local crowds. Adjusting to the Australian way of life is remarkably easy with no language barriers, no exotic foods to contend with, lots of family friendly accommodation. It goes without saying, Australia’s enormous meaning that planes here are used like buses, are frequent and reasonably priced. A car is essential if you want to explore outside the cities whereas public transport in the cities is the most cost effective and efficient way to get around. It is fair to say there are so many itinerary options that it is impossible to highlight them all here however if you are planing a trip to Australia then look no further as we are your one-stop travel expert for Australia. Accredited by Tourism Australia we can co-ordinate all the elements of your holiday including flights, stopovers, accommodation, sightseeing and tours from start to finish. Simply contact us for your personalised itinerary. DAY 1: Arrive into Sydney, the capital of New South Wales, and be transferred to your family hotel. 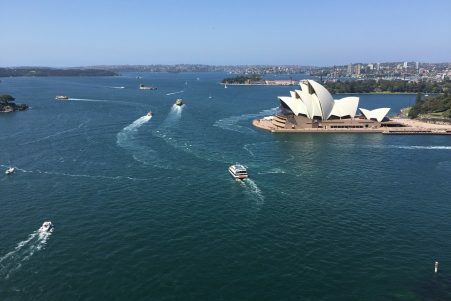 Recover from the long flight by taking a gentle stroll along Circular Quay pass the iconic Opera House. The city is great fun for children so talk with us on some early planning of visiting the zoos, aquariums, wildlife parks, museums, galleries and some of the country’s best surf schools. In the evening enjoy a meal out in The Rocks cobbled laneways with cosy cafe's and the oldest pubs in the country. DAY 2: Spend the day exploring Darling Harbour, the perfect place to entertain the whole family. There are many attractions to visit such as the SEA LIFE Sydney Aquarium, the WILD LIFE Sydney Zoo, Madame Tussauds and the Chinese Garden of Friendship. Enjoy a delicious harbourside meal for either lunch or dinner. DAY 3: A further day in Sydney to enjoy this great city. To the north and south there are many beachside suburbs to explore with great cafe's and eateries. The famous Manly and Palm beaches are at either end of a beautiful stretch of coastline that offers great surf beaches, cliff top walks and al fresco dining. From Circular Quay catch the ferry to Manly and there to hire a bike,or walk, the Manly to Spit Bridge Scenic Walkway taking in the lovely scenery. DAY 4 & 5: An early start to fly to Ayres Rock to experience the iconic Uluru-Kata Tjuta National Park. From your family hotel you can walk to various lookouts, where you can watch what is arguably Australia's best sunset, with the spectacular display of colours across Uluru (Ayres Rock) and the surrounding desert. Uluru stands at 348 meters high and so is taller than the Statue of Liberty and the Eiffel Tower. Take a bike ride around the base of Uluru learn about Dreamtime stories connected with it; visit the local cultural centre and get to know the local Anangu tribe; take a quad bike out at Kings Station near Watarrka National Park. Ensure that you rise early on the second morning to watch Uluru at sunrise, to notice the changing colours that differ from those at sunset. DAY 6 - 8: Arrive in Adelaide and connect straight onto a flight to Kangaroo Island, one of the best places for nature lovers. The island offers diverse landscapes and environments from stunning beaches and coastline to forests, desert dunes and farmland. 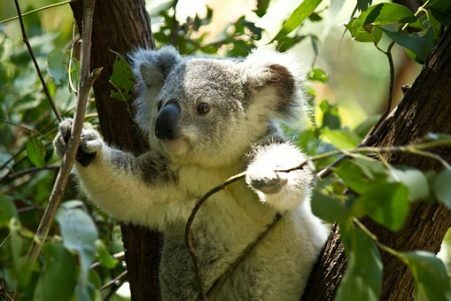 The island is the perfect place to see kangaroos, sea lions, koalas and little penguins all in their natural habitat. With more than one-third of the island under protection as a park this is a place where you can explore a wilderness not changed for thousands of years. DAY 9: Arrive back in Adelaide for an evening and enjoy this city, where all the attractions are within 20minutes of one another, including the chance to swim with wild dolphins! If you would prefer to just take a day out on the beach then Glenelg is within easy reach of the city, being just a short tram ride away, and the waters are perfect for swimming. There is a family fun park and The Beachouse both perfect for keeping the kids entertained. DAY 10: Now it is time to get out on the road and drive one of Australia's iconic roads - the Southern Ocean Drive and drive on through to Melbourne. The road trip, which can include Kangaroo island (should you wish to depart from there), offers something for everyone, from wine to wildlife. Stunning cliff faces, roaring waves and spectacular beaches are just some of the highlights. Key family activities to do would include Set off on Australia's favourite road trip, along the Great Ocean Road where you can view the deadly Shipwreck Coast and the iconic limestone stacks of the Twelve Apostles. DAY 11: Day 2 on the Southern Ocean Drive towards Mount Gambier will take you along the coastline of the Coorong Natinal Park through to Robe. Journey to Jack Point Pelican Observatory, Meningie Cheese Factory Museum and sample the offerings at Langhorne Creek's cellar doors. Explore the Goolwa Wharf Precinct, take a Big Duck Boat cruise, enjoy views from The Bluff and take the horse drawn tram to Granite Island. So much to do, but don't miss the Blue Lake before arriving at Mount Gambier for the night. DAY 12: Continue into Melbourne picking up the Great Ocean Road at Port Fairy, Victoria. The final day of this stunning coastal route will see you take in the Twelve Apostles or walk a section of the Great Ocean Walk. 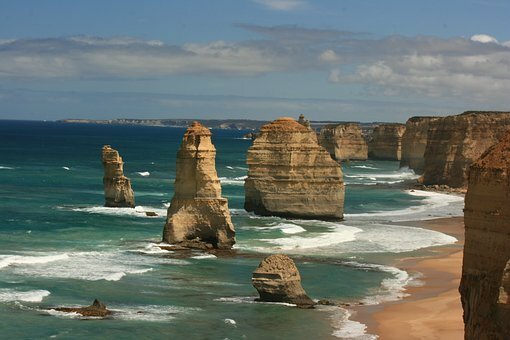 View the deadly Shipwreck Coast and the iconic limestone stacks of the Twelve Apostles. Stop for a picnic lunch at Paradise and Shelly Beaches and visit the 150-year-old Cape Otway Lighthouse and stop for a picnic lunch at Paradise and Shelly Beaches. Just before reaching Melbourne stop off at Torquay – a famed surfing town with the world’s largest surfing museum. A short drive away you can look for point break at the iconic surf spot of Bells Beach. Arrive in Melbourne for a few days. DAY 13: Depart Melbourne and fly north into the coastal wonderland of Queensland, at Brisbane. Transfer through to the glorious Hervey Bay or Fraser Island for some final days of rest and relaxation on the spectacular beaches of western Australia. The sunshine coast is blessed with over 100km of coastline that is safe to swim in all year round and is perfect for surfing, paddle boarding, kayaking, fishing and kite surfing. 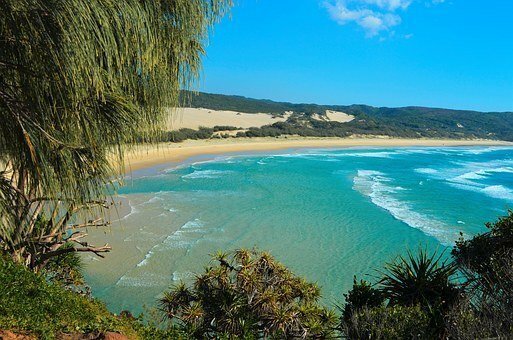 Explore the beachside town of Noosa or Coolum. Wildlife fans can swim with sharks or playful seals at Underwater World and watch the crocodiles feed at Australia Zoo. There are many other family attractions but, if timings are right, try to take in some whale watching. This is a very special experience for visitors to enjoy (July to November) when migrating humpback whales rest, play and feed their calves before travelling onto Antarctica. DAY 15: Bid a fond farewell to the beautiful Sunshine Coast and Australia as you transfer back to the international airport at Brisbane for your fight home.